2011 is ending with the same kind of excitement it started with as far as Bad Animals is concerned. It's on the longlist for The Charles Taylor Prize. The announcement of the shortlist will be January 10th so stay tuned. This in addition to its being shortlisted for the B.C. National Award for Canadian Nonfiction and its winning the Mavis Gallant Nonfiction Prize. It's been a lot of fun so far. The 2012 shortlist for the BC National Award for Canadian Non-Fiction was announced by Keith Mitchell, chair of the BC Achievement Foundation. 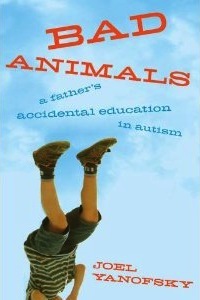 Bad Animals: A Father’s Accidental Education in Autism was selected by the jury as one of the four finalists out of a field of 134 nominated books. The winner of the BC National Award for Canadian Non-Fiction will be announced in February 2012. For a link to the BC National Award for Canadian Non-Fiction, click here. 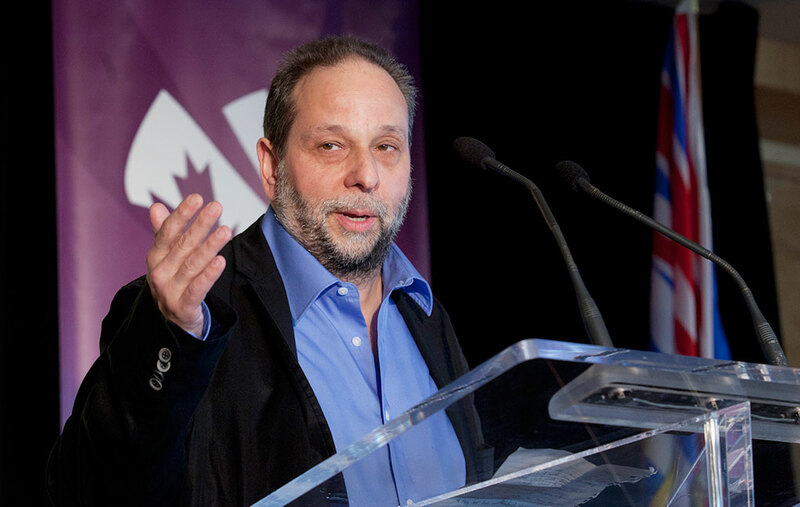 Joel Yanofsky's memoir of learning to live with an autistic son, Bad Animals: A Father's Accidental Education in Autism, won the Mavis Gallant non-fiction award. When he used to host the Academy Awards every year, Bob Hope's would joke that this was the season known around his house as Passover. But I can't complain. Bad Animals is on the long list for the B.C. National Award for Canadian Non-fiction. Turns out it's nice to almost be nominated too. The news for the short list is out on December 5th. The prize is 40 grand. Oh My! Enjoyed my time in Edmonton last month at the LitFest. Nice to see colleagues and friends like Charlie Foran, Merrily Weisbord, Marni Jackson and thrilled to meet the inimitable Stevie Cameron. Go figure, it is nice to be nominated, after all. Just learned that Bad Animals is shortlisted for this year's QWF Mavis Gallant Nonfiction Prize. QWF or the Quebec Writers' Federation will hand out the awards at their annual gala on November 22nd at the Lion d'Or. Congratulations to fellow nominees in all the categories, especially friends and colleagues David Homel, Dimitri Nasrallah, Merrily Weisbord, Jack Hannan, and Don Winkler. Literary awards are a crapshoot and of the books that should have been nominated this year is Monique Polak's young adult novel, Miracleville. It's a great read so go out and get it. A writer's best prize. I was recently asked to judge the creative nonfiction category for The Malahat Review's 2012 Open Season Awards. If you want more information check out The Malahat Review on Facebook, add Open Season and you should be able to find it. Also, CBC's Canada Reads is holding a vote for Creative Nonfiction this year for the first time and since this is what I call "the season of living shamelessly" -- the season of having a book out, I shamelessly encourage you to vote at the CBC Canada Reads website for Bad Animals. Especially if you enjoyed reading it. An interview I did with Shelagh Rogers for The Next Chapter is now available online. You can download the podcast on itunes or listen online here. CBC will also be re-broadcasting it on Saturday October 8th at 4pm.